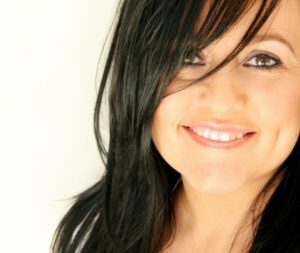 As one of Australia’s foremost Christian artists, Roma has been at the forefront of it’s music for almost 20 years. As a trainer, she has transitioned into creating online courses to help others achieve their dreams as creative artists – singers, songwriters, painters, dancers, worship leaders and artists. Roma travels the globe, speaking, singing and running workshops on the prophetic arts, songwriting and vocal technique. Her ministry and career are unique in that her involvement in the arts is varied, from being a minister in music, to speaking, being a session vocalist for many television shows, a vocal coach and songwriter. She is also the founder of the much loved Melbourne Gospel Choir. Your adventure begins with your flight to Tel Aviv. On arrival you will be met at Ben Gurion Airport and transferred to Ein Karem, the home town of Mary’s cousin, Elizabeth, the mother of John the Baptist. 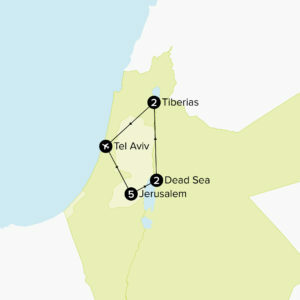 We will then check in to the hotel in Jerusalem. We will meet at 6pm for a welcome drink and overview of the tour followed by dinner. After breakfast we return to the Mount of Olives and visit Huldah's Tomb – Huldah the prophetess (2 Kings 22:14; 2 Chron. 34:22) has been commemorated here since the Middle Ages. Eleona (Pater Noster) – one of the first churches to be founded on the Mount of Olives by Queen Helene, the mother of King Constantine. Continue to the Russian Orthodox Church of Mary Magdalene – this beautiful 19th century church in its tranquil garden setting is the burial site of Princess Alice of Battenberg, Queen Elizabeth’s mother-in-law. We continue to the Western Wall, a last remnant of the Second Temple, and as such, the holiest place in the Jewish world and a scene of fervent prayer. Nearby we visit the Southern Wall Archaeological Park – a “still-life” of the original Herodian street. The Davidson Visitor Centre – housed in an eighth-century palace, where beautiful displays and a virtual-reconstruction, high-definition interactive model bring Jerusalem’s history alive. The Bible Lands Museum Jerusalem – many displays relating to women, including jewellery, figurines, a bust of “Sarah the Matriarch,” a model of Esther’s palace in Shushan, a Byzantine woman’s decorated sarcophagus and more. Today we will visit the Jewish Quarter of the Old City – including the Cardo, Jerusalem’s ancient main street; the Syriac Orthodox Church of St. Mark – where visitors can consider the part played by the servant girl Rhoda in the story of Peter’s return to the community and other female figures in Scripture. We then visit the Church of the Holy Sepulchre, the most widely reported site of Jesus’s crucifixion and burial. Here we ponder the women of the crucifixion & resurrection. We then leave the Old City to see the Garden Tomb and Golgotha - Place of the Skull - for a time of worship and reflection. We then visit Rachel’s Tomb. Rachel was the mother of Jacob (Genesis 29-31) ­– to this day, women come to Rachel’s tomb to pray for fertility and safe childbirth. We then continue to nearby Bethlehem where Ruth the Moabite changed history by braving the unknown to come to Bethlehem with her mother-in-law Naomi. We will visit the Field of Boaz and Shepherd’s Field. In addition to the Church of the Nativity (commemorating Jesus’s birth) we will also visit the Church of Mary’s Seat – the Katisma (“seat”), a church where tradition says the heavily pregnant Mary rested on her way to Bethlehem. We will visit the Bethlehem Bible College and hear about their women’s ministry in Palestine and enjoy a light lunch. Return to our hotel for dinner and overnight. Today is a free day for you to explore Jerusalem. There is so much to do and see! Some ideas include the Western Wall tunnels, Hezekiah’s tunnel and the City of David, or perhaps just wander through the alleys of the Old City and shop and enjoy lunch on one of the many rooftop cafes. The Holocaust Museum and Yehuda Street are also well worth visiting. Today we start at the City of David where we consider the story of David and Bathsheba and the role she played in Solomon’s life. We then visit Tel Shiloh where the tabernacle sat for 369 years. – the location of the Tent of Meeting (Josh. 18:1), where Hannah came to pray for a son (1Sam. 1:12-18). We return to New Jerusalem to the Israel Museum – the Ethnography Wing reveals ways that customs involving women and families in traditional cultures can reflect those of the Bible. The Shrine of the Book and the Model of Second Temple Jerusalem are also excellent sites to see. Return to our hotel for dinner. Tonight we will have a visit from Parent’s Circle who will share their hopes and dreams for reconciliation between Israel and Palestine. Today we farewell Jerusalem and travel to the nearby town of Bethany the home town of Mary and Martha and their brother Lazarus. Continue to Jericho known as the oldest continuously inhabited city in the world. Jericho also claims the record for the lowest city in the world at over 800 feet (250 meters) below sea level. It was here that Rahab the prostitute hid the two Hebrew spies (Joshua 2 & 6). We continue south through the desert to Masada National Park ­– Herod’s magnificent fortress, with its palaces, bathhouses and ramparts was also the last stand of the Jews against the Romans. The Masada Museum reflects daily life, highlighting among its exhibit’s women at their many daily tasks. End the day with a dip in the Dead Sea and spa treatment at the hotel. Dinner and overnight at the Dead Sea. Today we visit Be'er-Sheba – the city that Abraham founded (Gen. 21:31) when he moved here with Sarah. The landmark well outside the gate is a backdrop for the many stories about women’s encounters at the well, including Rebecca (Gen. 24:13-26), Rachel (Gen. 29:9-12), the Samaritan woman (John 4:7-29) and others. We will visit a Bedouin women’s craft centre in Rahat - learn how crafts going back to the days of the Patriarchs and the Matriarchs. Return to the hotel for a women’s workshop facilitated by Roma Waterman on "Finding your passion". This morning after check out, we start our day with a visit to Caesarea Maritima on the Mediterranean Sea. The showcase Roman port built by Herod the Great, figured centrally in both Jewish and Christian history. Caesarea was the home of the four daughters of Philip (Acts 21:8-9). Continue to Sepphoris, the ancient capital of Galilee, the traditional birthplace of Mary; Joanna, the wife of Cuza, might have lived here. Visit the restored theatre, the “Mona Lisa of Galilee” mosaic, the Nile House, the Cardo and the sixth-century synagogue that tells a story of redemption and reveals an unusual representation of Sarah. We then take a short drive to Nazareth – most of the monuments in Nazareth, the town where Jesus grew up, are devoted to Mary and this is where the Annunciation (Luke 1:26-38) took place. Visit the Nazareth Village and learn about the daily life of women in Jesus’ day. On our way to Tiberias we will visit Sindyanna of Galilee where Jewish & Arab women work together producing Fair Trade products. Dinner and overnight at Tiberias on the Sea of Galilee. Stay the day with a boat ride on the Sea of Galilee. During our time on the lake we will stop and ponder with a time of prayer & reflection. At Ginosar we will visit the Jesus boat museum that displays a recently excavated 1st century fishing boat. Continue to Tabgha, where the miracle of the feeding of the 5,000 is said to have occurred. We then visit the Mount of Beatitudes where Jesus delivered the sermon on the Mount for a time of prayer & reflection in the stunning grounds and church. We then visit the ancient town of Capernaum where Jesus preached in the synagogue and visited the home of Simon Peter. We will also visit Magdala, the home town of Mary Magdalene and spend some time reflecting on the women we have discovered so far. Enjoy a stunning view over the Sea of Galilee from Mt Arbel before returning to the hotel for dinner. After breakfast we checkout of our hotel and travel to Tel Aviv airport for the flight departing at 3.15pm. There will be an option available to stay on and visit neighbouring Jordan, including Petra, one of the Seven Wonders of the World. You must apply no later than 30 March 2019. We are holding group flights with Cathay Pacific from both Melbourne & Sydney. If you want to travel from Adelaide, Brisbane or Perth please contact us ASAP to request amended flights from your city. If you are using our included airfare option there is a $150.00 to change your return flight or book a Hong Kong stopover. Outbound flights MUST be travelled with the group. Cathay Pacific economy class passengers can check in 30kg of baggage & are permitted one piece of carry-on baggage that may not exceed 22 x 15 x 8 inches (55 x 38 x 20cm) & must weigh no more than 7kg. An excess will be charged for any baggage over these limits. The group airfare only accrues frequent flyer points if you pay $80 and upgrade to the next fare level. Prices are based on a twin shared room containing two single beds. A request to share is accepted at the time of booking. Clients electing to twin share with an unknown partner of the same gender do so in the full knowledge that Selah cannot guarantee the compatibility or medical fitness of your roommate. The single room rate will apply at the time of booking. This surcharge will be refunded if Selah is able to provide a suitable partner. Travelling to ancient places means that many surfaces are cobblestoned and uneven. When on tour there is a reasonable amount of walking every day (avge 8kms/day). Days can be long with early starts. You need to be of sound physical health and fitness to maximise your experience on the tour. If you have any concerns about your health and fitness, please speak to us. 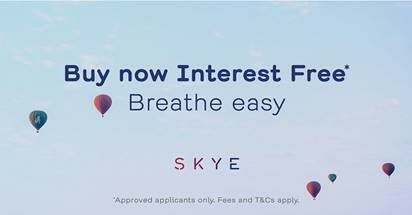 12 months interest free is available. To apply for this click HERE.